Amanda Houston is a signature award-winning member of the NW Pastel Society. Her works are collected internationally and she has won numerous awards at a national level. 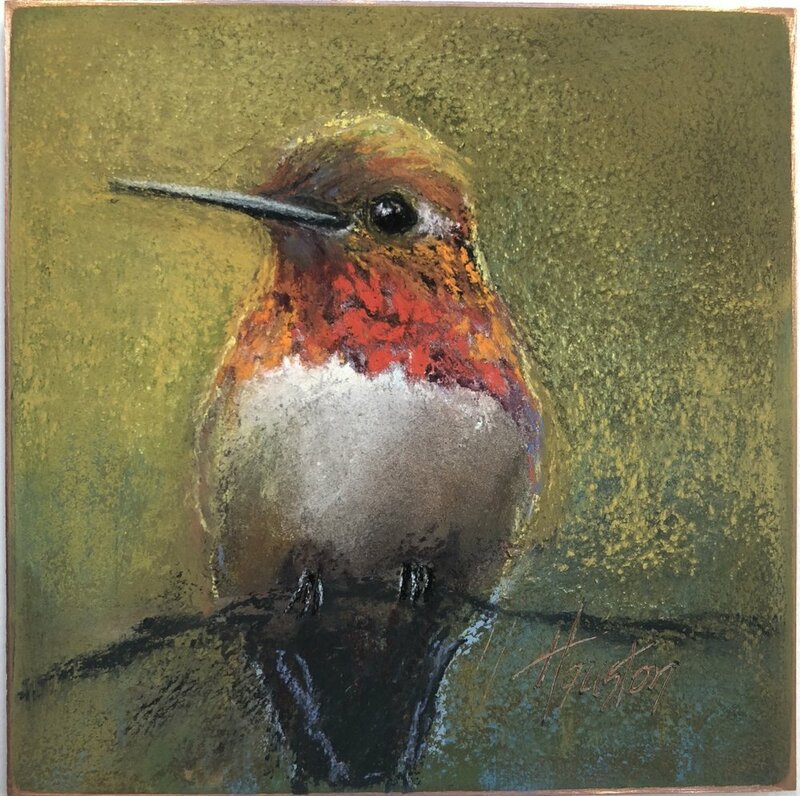 We are honored to feature her distinctive birds and exquisite landscapes at The Clearwater Gallery in a show that begins May 25, 2018 at the Fourth Friday Art Stroll and runs through late July. Please join us for an evening with the artist from 4:00-6:00 pm. Wine and light appetizers will be served. My inspiration for this show is easy: the personality of birds. While I am known as an Impressionistic landscape painter, my bird portraits are unique pieces created on different surfaces: mainly copper, and my own prepared boards. I have some abstracted pieces depicting the gestural energy and excitement of a flock of birds landing, to quieter portrait pieces that simply describe a bird's personality or an emotional gesture. I find pleasure and beauty in humanizing birds as if they were engaging with us by the way they tilt their head--as if to ask us a question or say something. I am constantly looking for a unique and interesting posture to makes us linger and contemplate their lives.